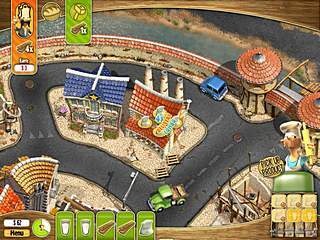 Youda Farmer 3: Seasons is the third sequel in the Youda Farmer series. The game is just polished and ready to please any time-management genre fan. You will have to do your best and save the village from yet another disaster. The game has a lot in common with its predecessors, but also some new features. The village you've been before (if you played the previous releases, of course) has suffered from another problem. This time around the winter is treating you harsh. Many buildings are destroyed by the night winter storm. Now you are given 76 levels of a total frenzy to help restore the village. The game has a lot in common with its predecessors, but also some new features. You can collect fruits, vegetables, and other products from different farms. You get notified on the bottom panel, from where you can go to the farm and then decide where to sell the whatever you collected. Delivering three or more products of the same kind will give a bonus on top of the money for the products. You will also supply different workers like carpenters and tailors to produce furniture or clothing. You will also be able to build a top class hotel for rich people. That is another opportunity to make good money since those clients pay more for the usual meals than the rest of the places. The game is so full of different upgrades and power-ups and perks that you can get in between the levels. It is interesting that you can choose more improvements for your farm if it took you longer to finish a level. The game looks very bright and attractive. The scenes are ver cute. 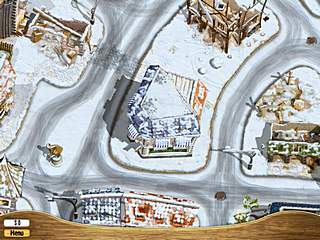 The seasons theme adds to the look of the game as the colors change. The fans of the game series will most probably enjoy this new release. This is Youda Farmer 3: Seasons review. Download this game here.